Permitted development extension to an end of terrace property, comprising an angular kitchen designed to take advantage of the sunpath and end of terrace location. Contemporary extension to a substantial family home to provide an open plan kitchen living space with connectivity to the landscaped garden, whilst maintaining privacy for the users through careful placement of structural glazing. 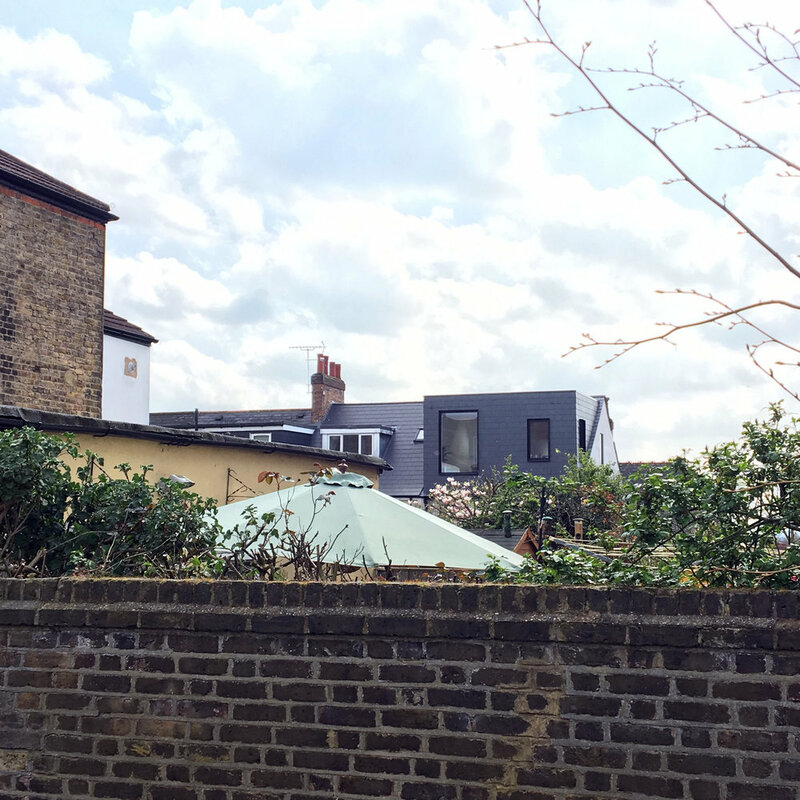 Permitted development roof extension to provide a master bedroom suite to a 1920s property in South London. By concealing all gutters, vents and fascias, simple crisp detailing emphasises the relationship between solid and void. Sensitive modernisation of a 19th century cottage requiring extensive structural works to mitigate the building's chalk walls, finished with clean simple modern detailing to complement the texture of existing building fabric. 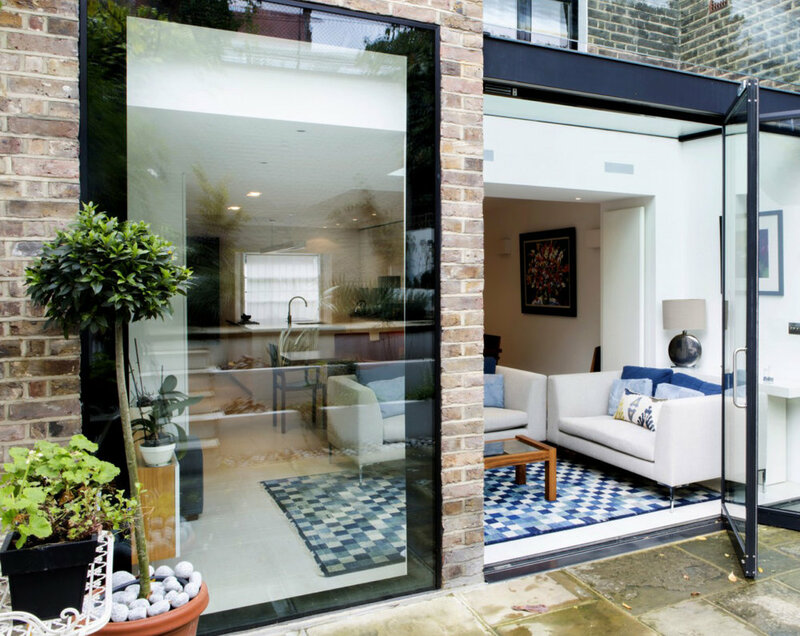 Refurbishment and extension of a four storey Victorian townhouse in central London, including a new basement kitchen living space with structurally glazed infill and roof terrace. 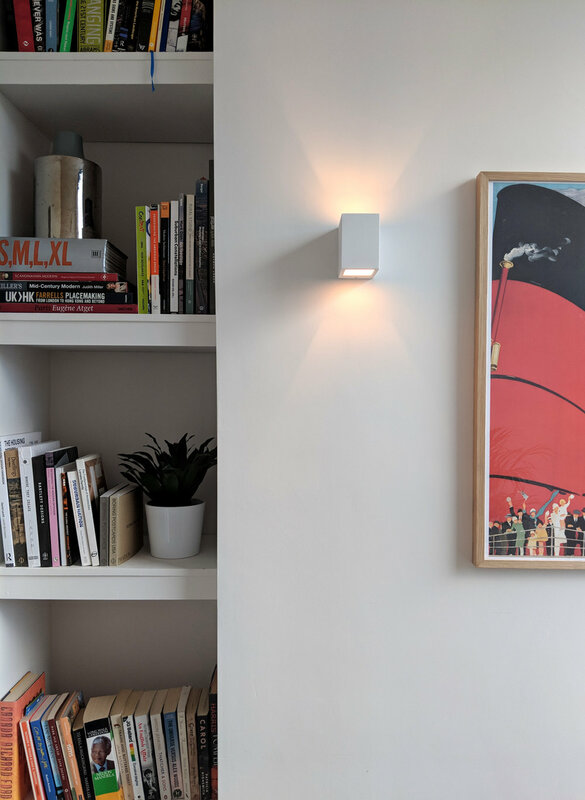 Overhaul of existing apartment to create a series of contemporary living spaces, using a refined palette of materials and stripping back all linings, exposing structure and maximising light into the triple aspect living spaces.